You really went above and beyond to deliver our food tonight, on an extremely busy Saturday night, within a reasonable timeframe. The food was delicious as always! Thank you Swaad team, we really appreciate it! We have just moved to Bentleigh from Sydney and feel we have now found our favourite Indian Restaurant. A little Gem. Presentation, Service, cleanliness, and appearance were first class. Food was excellent and we cant wait to try more from the the range of dishes they have available. Keep it up !! Fantastic place, people and most of all food! Always look after you, and if you like it a certain way these guys always hit the mark, being British I am fairly fussy about my Indian food, for me this one is top of the pops. UK folk, ask for Extra Hot ? The meals are always delicious and the staff are always lovely. This Indian Restaurant is by far the best food I have had in Melbourne. Coming from the UK it has been very hard to find a place that cooks authentic and tasty curries, Swaad is this place and it has never dissapointed us. The Goan fish curry is to die for, as it is the Malai Kofta. I totally recommend this place to anyone who loves Indian food. Simply amazing food. Service just lovely for takeaway. Thank you. The nicest people i have ever met, the passion for cooking, service and beautiful food is a credit to the entire Swaad Team. 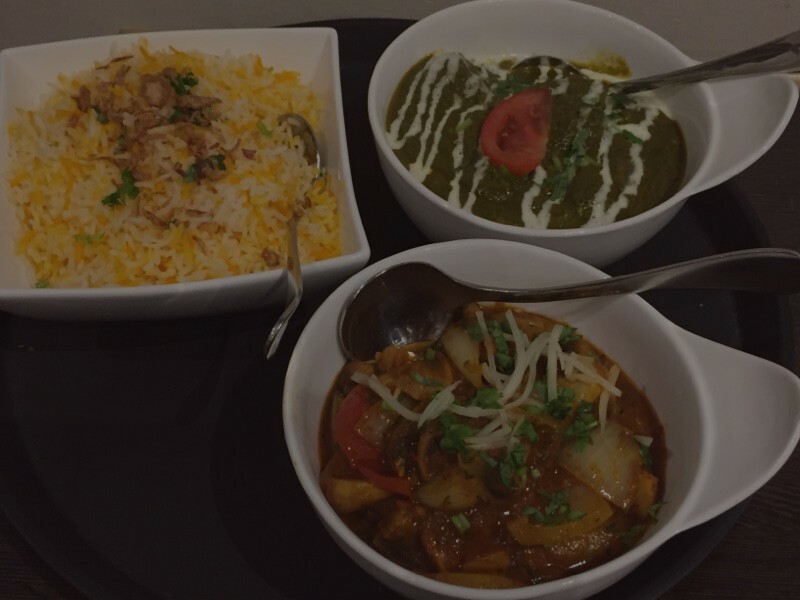 The butter chicken is sensational, the food is mouthwatering and i will go nowhere else for Indian Cuisine. Wow, The food was amazing! Top notch Vindaloo and absolutely scumptious Rogan Josh. Even the onion garnish rice was full of flavour. All the meals were really well balanced spice wise. Despite getting lost initially, delivery was on time…. and the driver was super friendly too! 5 starts!!! Absolutely delicious food, and the staff were some of the nicest people I’ve ever encountered. Cannot recommend enough. Nice food and thoughtful extra’s. Delivery was withing indicated time. Keep this up and you may have one more regular! Just visited this new Indian Restaurant (for take-away) in Centre Road, and we were very pleasantly surprised! The food was absolutely outstanding!! Right up there with the best in the area and not only that, There were a number of very nice extra included in the order for no additional cost. They provide some salads as well as nan, and 1 nice thing to top off was a couple of after dinner mints! But apart from the extras the food was great in it’s own right. We had a hot Lamb Vindaloo, and a beautiful chicken dish which they call Curry Magic.The Dal Makhani was just beautiful as well! The owners seem lovely too, so it ticks all the boxes! We will definitely be back and telling others!